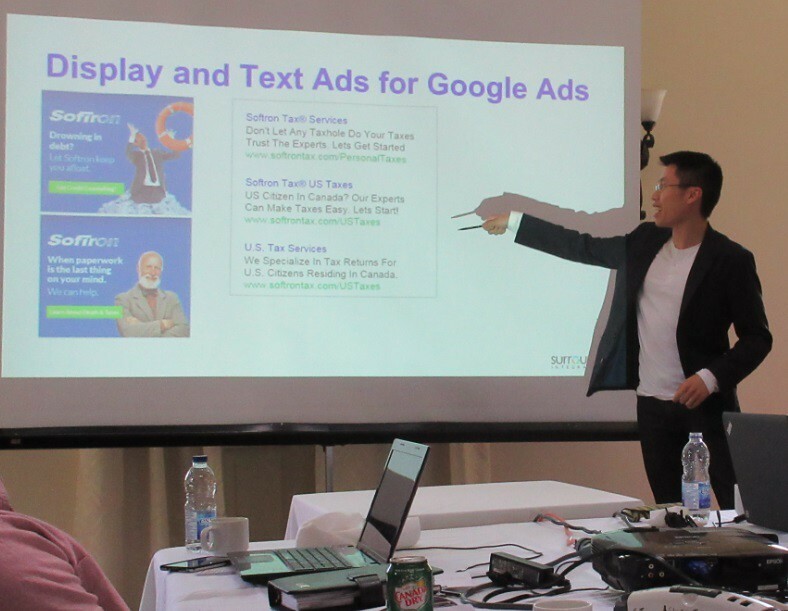 At twelve noon on Thursday July 16th 2015 the good people of Surround digital marketing agency gathered at their annual ‘Summit’ in the Cathedral Room at the Glenerin Inn in Mississauga. 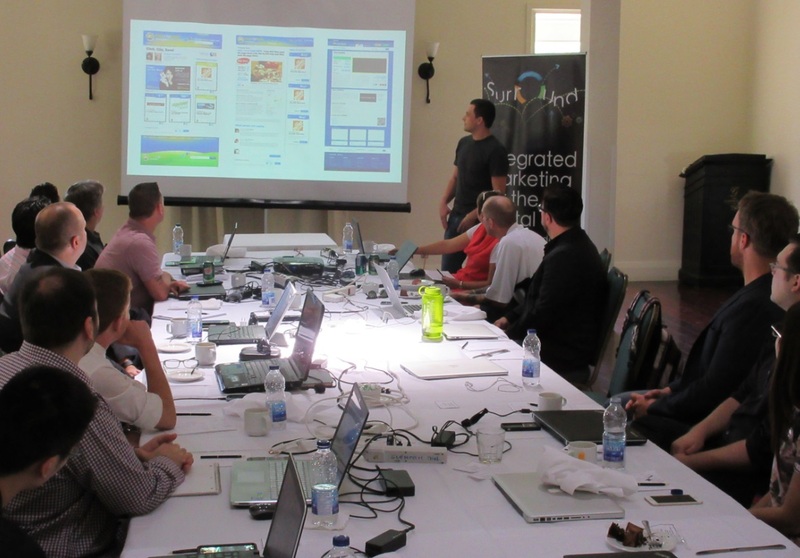 This facility was also the venue for two previous retreats but this is the first time in the biggest room. Surround is growing! Senior management believes this semi annual event helps sharpen skills and build solidarity. It also makes for a good blog post. The day started with lunch! After a very few words of welcome by Geoff Whitlock, and a quick hello by Jason Bradbury the Glenerin Inn catering staff brought in a delicious build-your-own sandwich spread which was promptly set upon by the entire assembly. Geoff Whitlock went through the line first so he could finish up quick and provide direction while the rest of the gang ate their sandwich creations. Geoff laid out the agenda for the day and introduced some new hires, one of which was running the laptop projector which helped her meet all the disparate parts of the organization as they came up to speak at the front of the room. Another young lad named Doug sat beside me and I soon recruited him to take pictures and bring me coffee and cake – two duties which he performed admirably and in tribute to his promising career I give him the cover pic which I set up by telling him to look at me in the wide shot. The first presentations were fiscally orientated as Bob Forster the CFO showed miraculous developments like how the overall business is growing while expenses are more or less remaining the same. 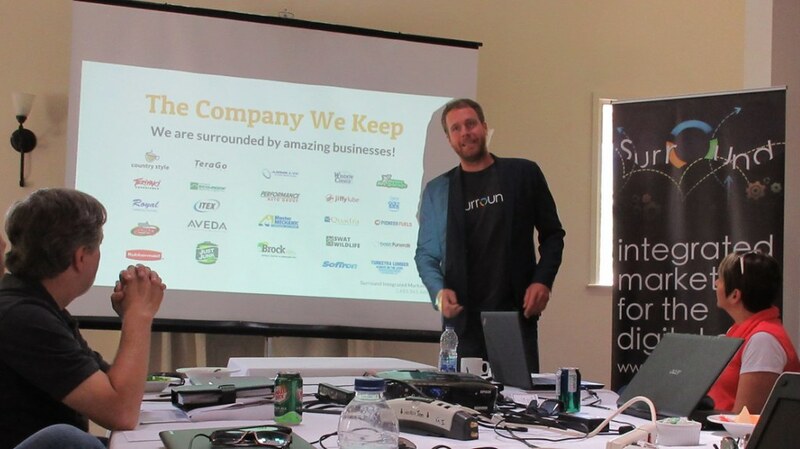 Next Darian Schouten revealed that Surround is now managing several large corporate Google AdWords accounts and using specialized software to keep track of their advances and double their winnings. 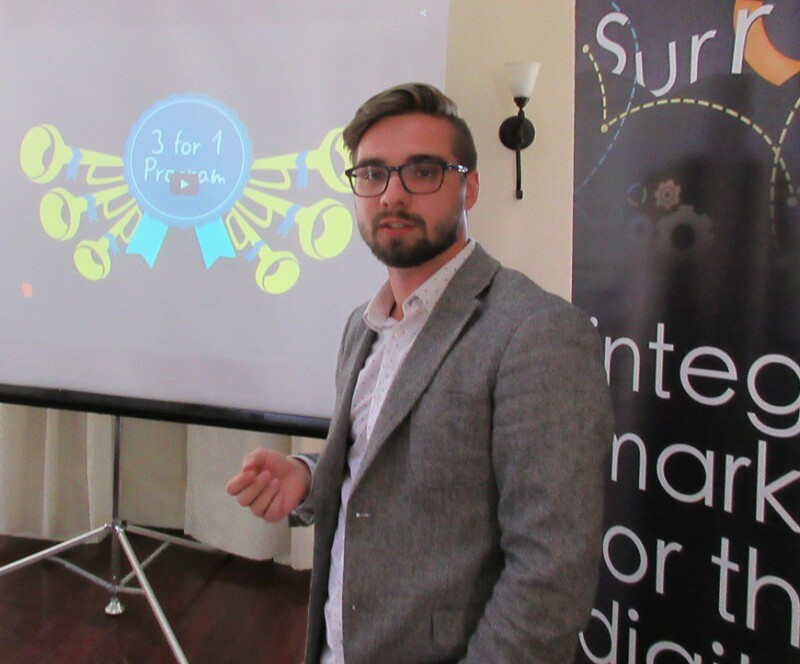 Junior account managers also gave ideas, and shared their own hard won insights. All triumphs provoked self congratulatory clapping and hearty applause. To the right is Jared discussing videos and the success his group has been having with YouTube video advertising and making something really interesting in less than seven seconds.. which is the time the ad stays on screen before the option to SKIP THIS AD? appears on YouTube. The day was filled with discovery as each senior manager and some notable juniors made passionate presentations identifying key learnings on some critical accounts. These displays provoked all manner of digital marketing discussions from many different perspectives. Some of the keenest questions came from the Sales Team who are always looking for fresh tips and tactics they can share with customers. 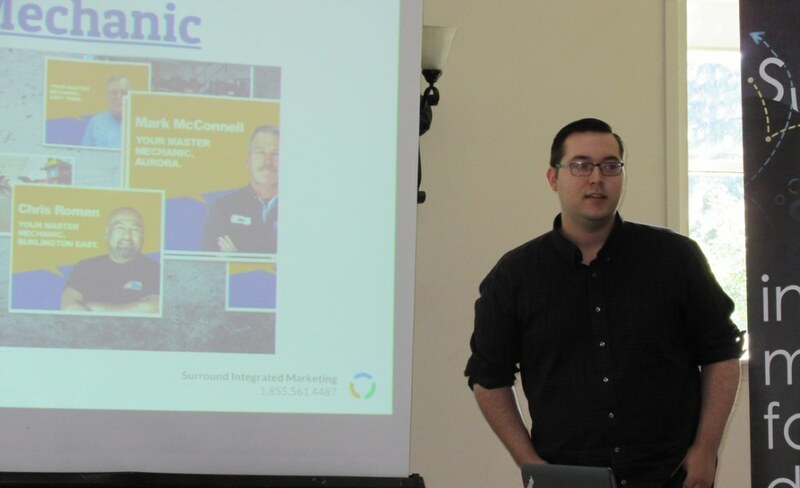 Scott Moodie discusses Master Mechanic AdWords buys including the success of the local search rankings due to individually optimized location pages. His presentation was very well received for its sincerity and obvious success. The snaking power cords across the table charged twelve laptops and as many phones and camera. The wifi was reliable and the food was terrific. 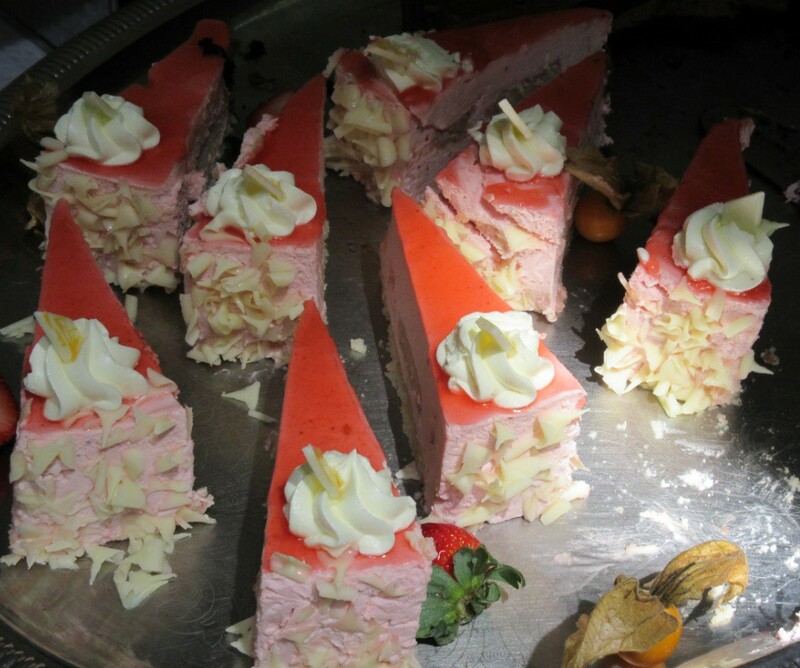 Here’s the cheese tray, and the cheese cake tray. 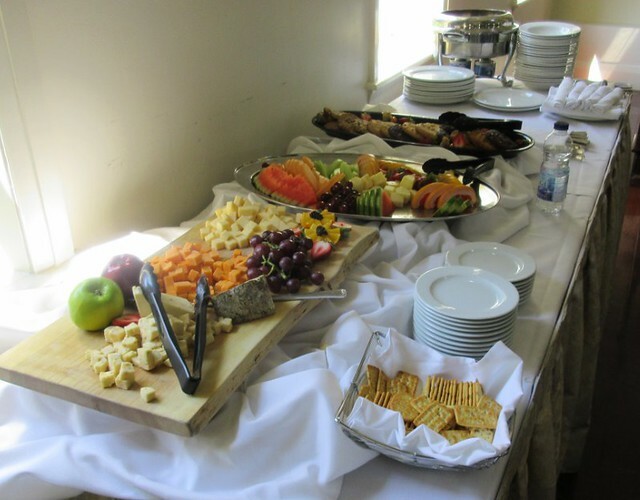 Glenerin Inn is certainly a great place to eat, and the Cathedral Room is a great venue for a meeting of the minds. Looking around the room at all the happy experts gathered around the table, its apparent that Surround is a great place to work. Its also easy to believe that this group has a very bright future as an innovative yet reliable digital marketing agency, and one committed to constantly improving their marketing services as they improve their own abilities, one account at a time.